I got my first pair of glasses when I was 10 years old. At the time, more than 20 years ago, glasses were not cool. Actually, they were the complete opposite of cool, and mine were no exception. 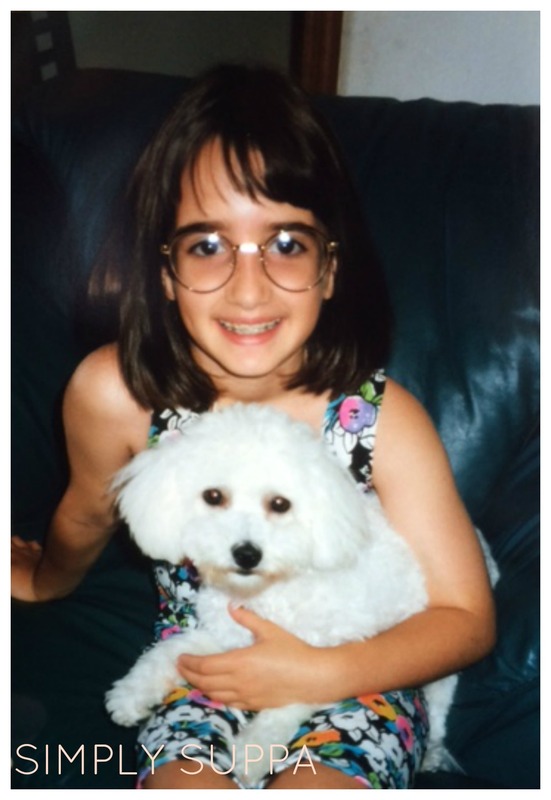 My first frames were pink translucent plastic; I picked them, I liked them, and I wore them -- every single day. Over the years, I've had many different styles: the large metal round ones my sister still teases me about (left), the silver titanium, rectangular, oval, and shiny. Oh, and I had braces to boot. But that's when things started to change. In the last ten years or so, glasses have become the "it" fashion accessory. With thousands of designer frames on the market, glasses are a statement piece -- a little bit of your personality that you wear proudly every single day. Yes, proudly. Magazines are peppered with occhialli ads, and celebrities are often showing off their favourite frame. In fact, many people today opt to wear glasses without a prescription lens inside. It's true. Glasses are now cool. Shopping for new frames has always been a challenge for me. I have a kid-sized head with gigantic eyes and long lashes. I've forever had the challenge of finding a frame that centres my eyes, doesn't hit my lashes, doesn't hang too low, and hey, looks good too. Since we're now combining function and fashion, why not, right?! So it takes patience, perseverance and positivity. For my newest set of glasses, I visited the brand new and beautiful Shoppes of Angus Glen Optometry in Markham. Shoppes of Angus Glen is owned by a husband and wife team of optometrists who provide quality eye care and fashionable lenses and sunglasses for the entire family. So, not only can you pick up a stylish pair of shades or frames, but you can get your eyes checked all at the same time. I'm not exaggerating when I say I tried on practically every single frame in the store. It was a bit overwhelming, but I did it. I was able to narrow down my hunt to a few favourites and then cut even more from there. 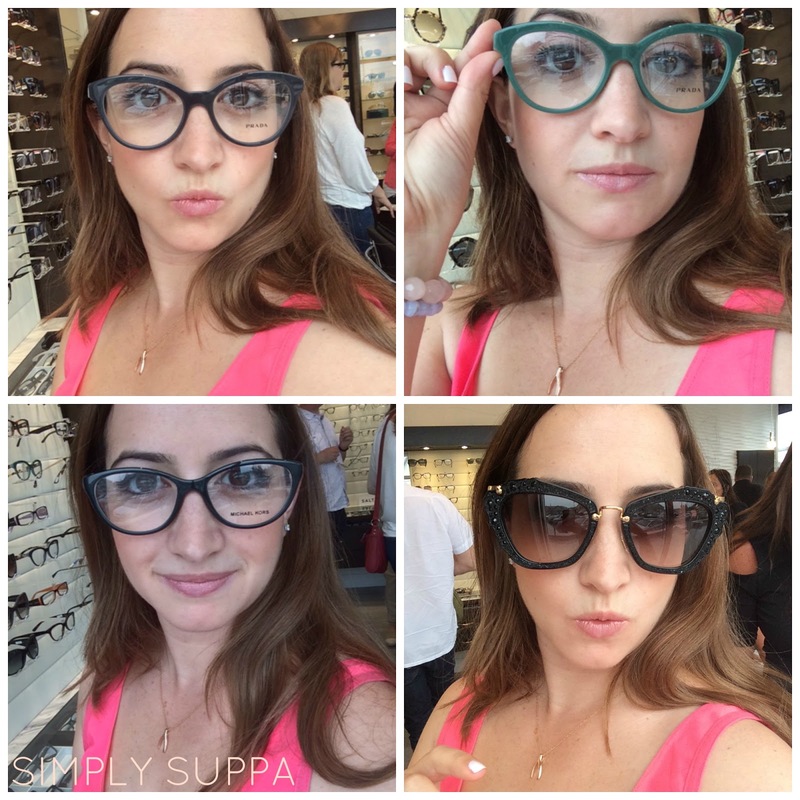 The staff was so very patient with me, offering both style advice and eye care knowledge, so I was equipped with the must-haves for frame purchases. It actually made my search a lot easier. Be willing to try each and every frame available; don't dwell on designer names. Focus on how the frame feels and looks on you, not on other people. Your eyes should be centred in the glass, and you should be looking through the frame, not over. Frames come in different sizes. 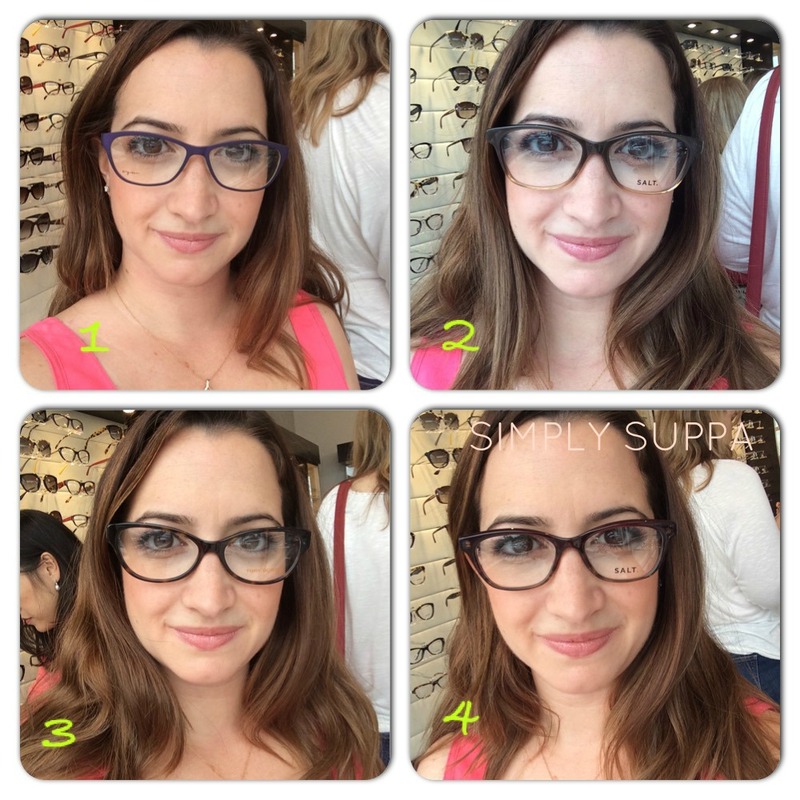 Make sure you're picking the right size frame for your face. Make sure to inform the salespeople of your prescription. Depending on your prescription, your choices may be slightly limited. 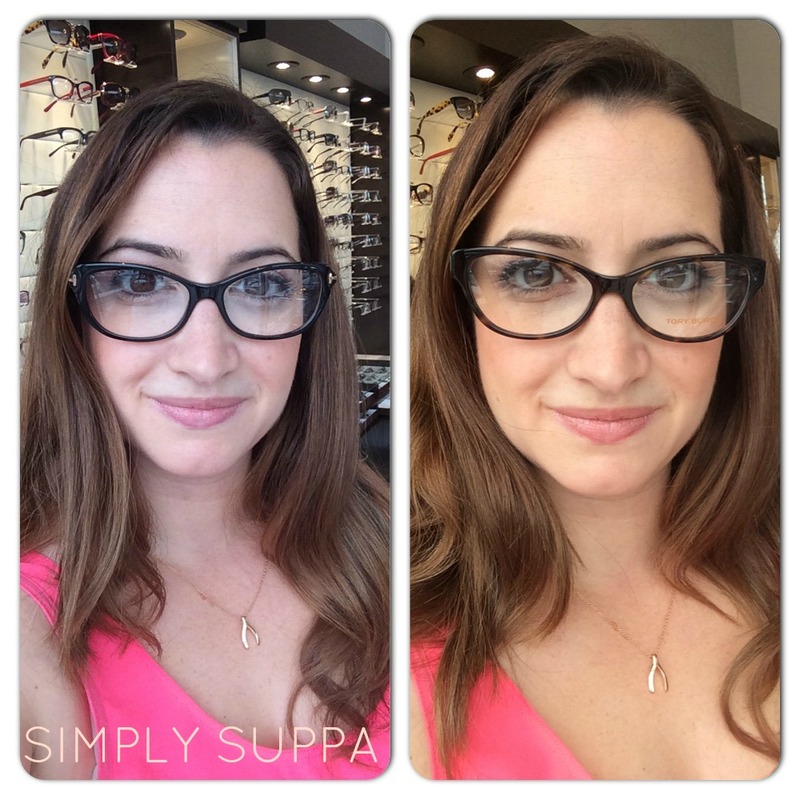 Once you start trying on frames, put aside the ones you like and narrow it down from there. Take selfies as a way to compare the frames. Don't be afraid to experiment with different colours, patterns and shapes. Remember, glasses are an expression of your individuality. In honour of their grand opening, The Shoppes of Angus Glen Optometry is hosting an amazing contest on their Facebook page. Enter to win a pair of Oakley shades and a two-some at Angus Glen Golf Club. The value for this prize is $600! Wouldn't Dad just love that!? So which one did I choose? You'll have to visit my Facebook Page or my Instagram for the final reveal! But, honestly, there were a few that I really liked -- I may just have to go back for another pair. Hey, I don't just have one pair or shoes or one purse, why should I only have one pair of glasses?! 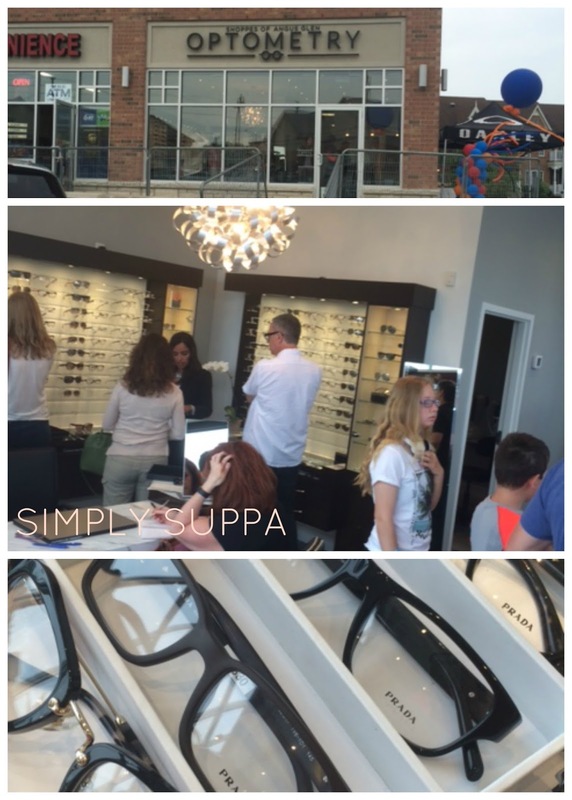 If you'd like a new pair of glasses or sunnies, be sure to visit the Shoppes of Angus Glen Optometry, and if you needed an even bigger push, Simply Suppa readers get 20% off until July 15. Now's the time to score your new look!